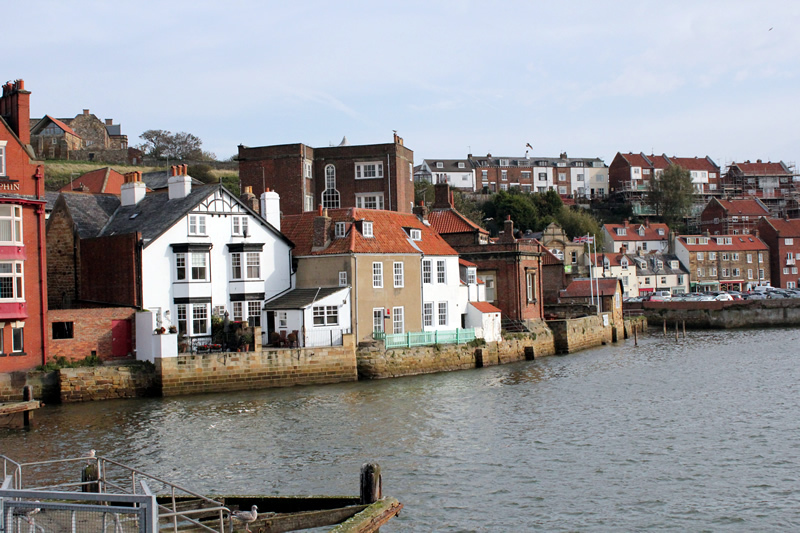 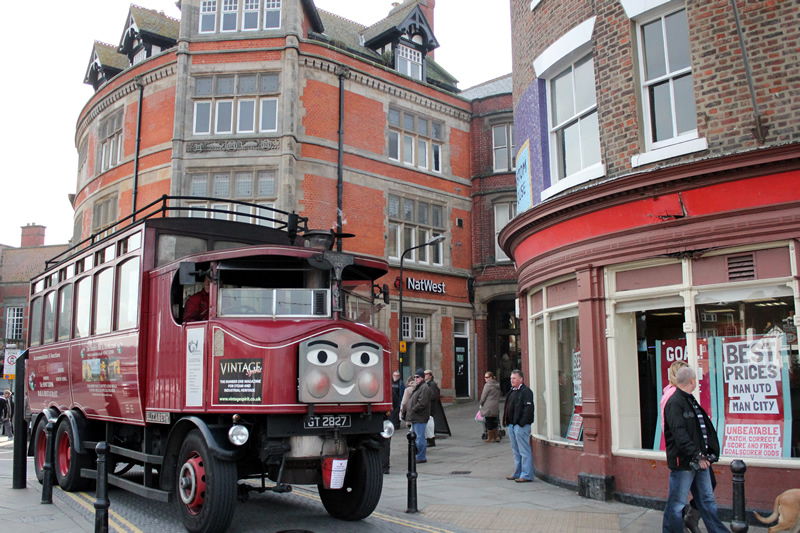 Whitby is a seaside town, port and civil parish in the Borough of Scarborough and English county of North Yorkshire. Situated on the east coast of Yorkshire at the mouth of the River Esk, Whitby has a combined maritime, mineral and tourist heritage, and is home to the ruins of Whitby Abbey where Caedmon, the earliest English poet, lived. 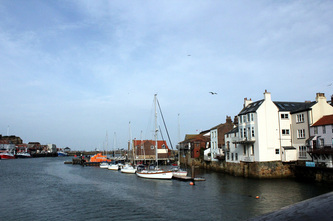 The fishing port emerged during the Middle Ages and developed important herring and whaling fleets, and was where Captain Cook learned seamanship. 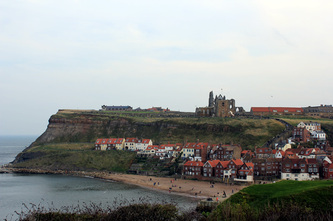 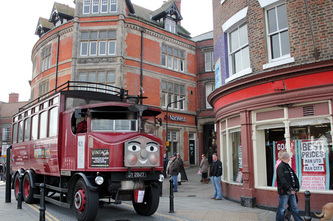 Tourism started in Whitby in Georgian times and developed with the coming of the railway in 1839. 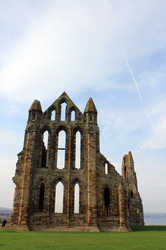 Tourist interest is enhanced by its location surrounded by the high ground of the North York Moors national park and heritage coastline and by association with the horror novel Dracula. 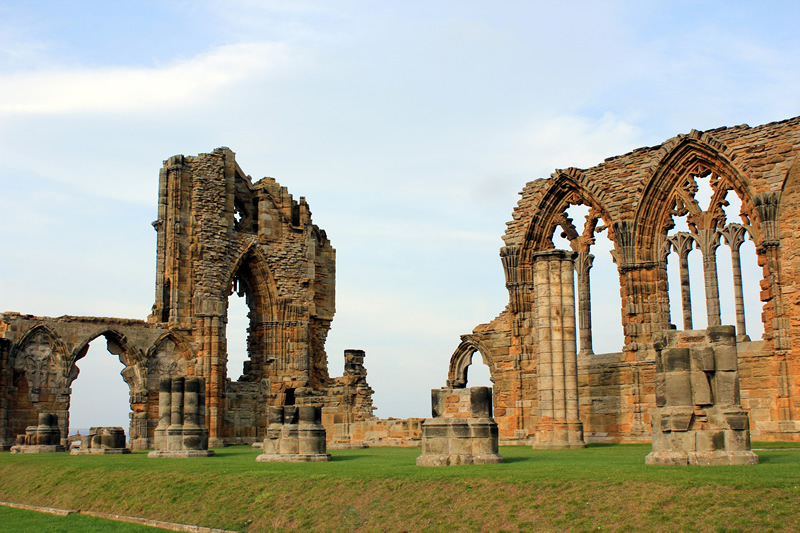 Jet and alum were mined locally, and Whitby jet, which was mined by the Romans and Victorians became fashionable during the 19th century. 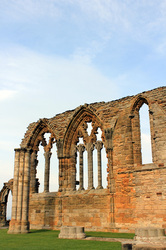 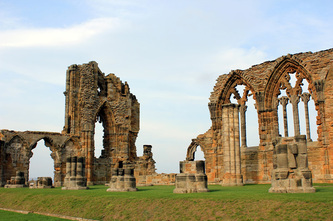 The earliest record of a permanent settlement is in 656, when Streonshal, was the place where Oswy, the Christian king of Northumbria, founded the first abbey, under the abbess, Hilda. 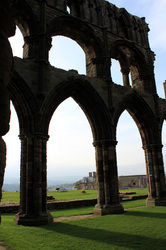 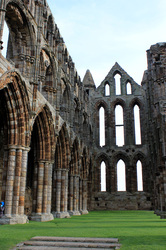 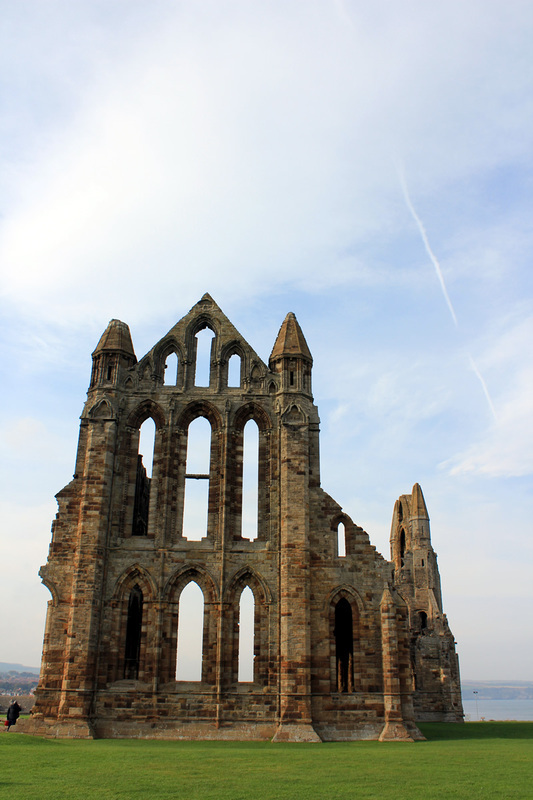 The Synod of Whitby was held there in 664. In 867, the monastery was destroyed by Viking raiders, and was re-founded in 1078. It was in this period that the town gained its current name, Whitby, (from "white settlement" in Old Norse). 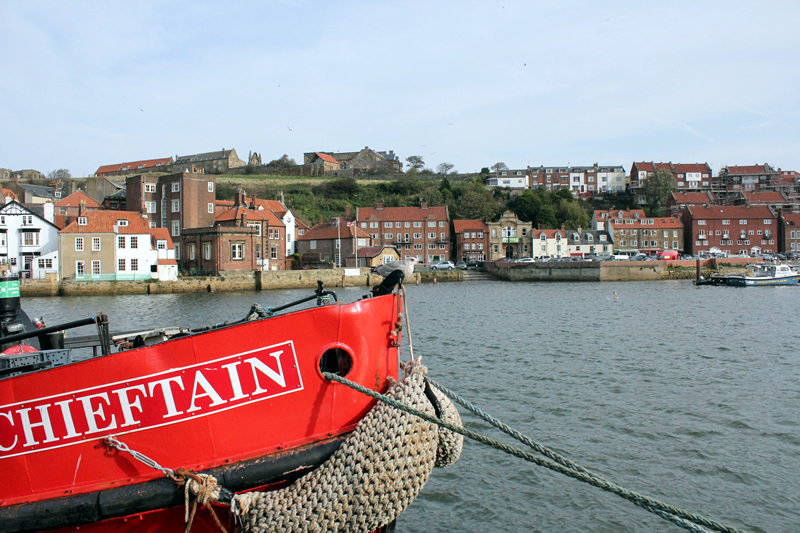 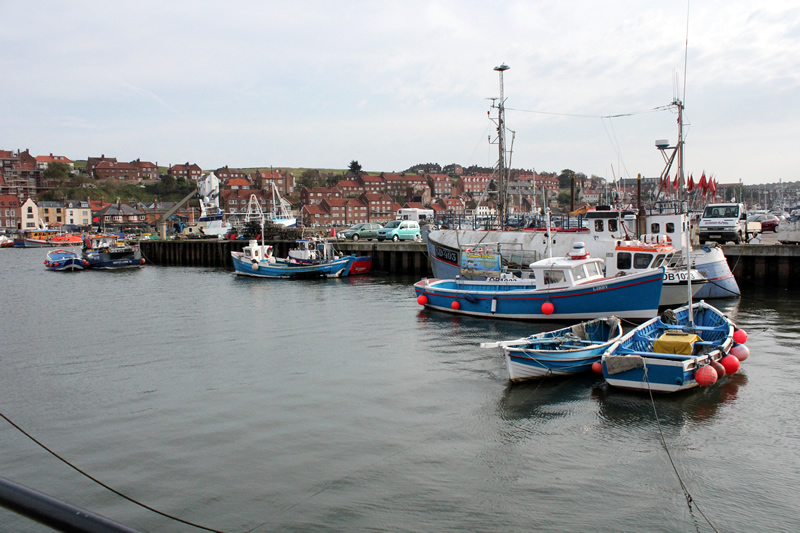 In the following centuries Whitby functioned as a fishing settlement until, in the 18th century, it developed as a port and center for shipbuilding and whaling, trade in locally mined alum and the manufacture of Whitby jet jewellery. 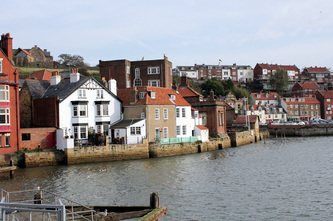 The abbey ruin at the top of the east cliff is the town's oldest and most prominent landmark with the swing bridge across the River Esk and the harbour sheltered by the grade II listed east and west piers being other significant features. 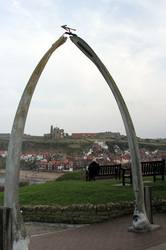 Statues of James Cook and William Scoresby and a whalebone arch all point to a maritime heritage. The town also has a strong literary tradition and has featured in literary works, television and cinema; most famously in Bram Stoker's novel, Dracula. 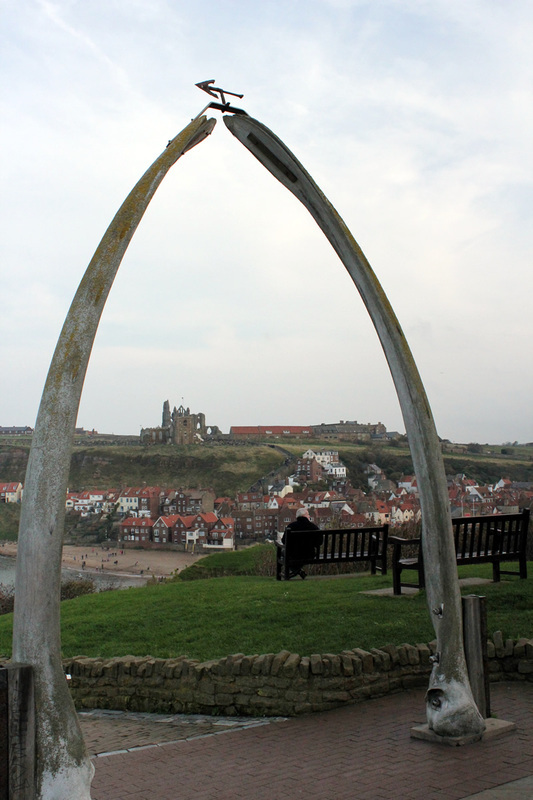 Whitby is a fascinating place to visit, from the beautiful scenery, historic ruins, to alluring tales of Dracula's secret burial spot.